Ducati offers an accessory pack that includes all the comfort that makes even the most demanding long-ride a truly pleasurable experience. The comfort-plus seat, the tank bag and the Roadster headlight fairing give the most anti-conventional cruiser of all time the ideal travel setup. 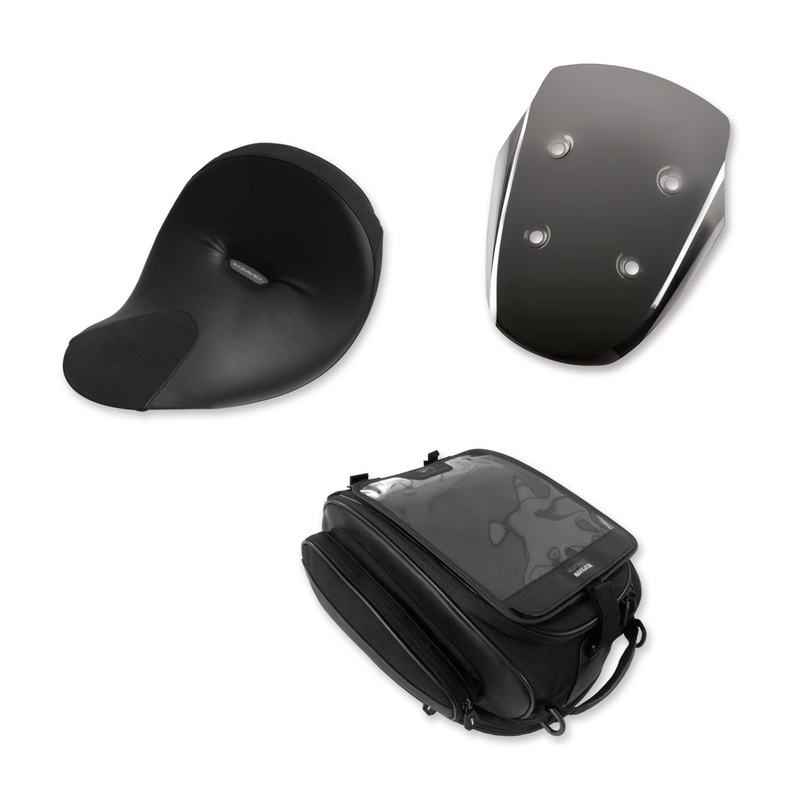 The kit contains: magnetic tank bag, "Supercomfort" rider seat, Roadster headlight fairing.